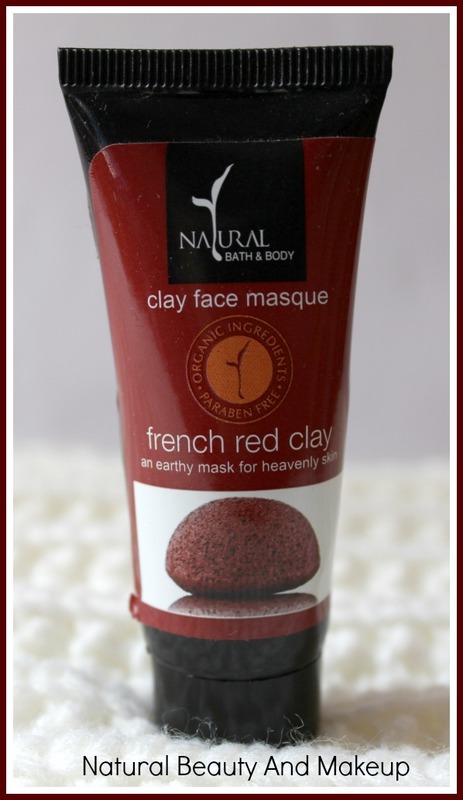 French Clay Face Masque – Like the special clay masks that were a favourite with the Egyptian goddess Cleopatra, our French Red Clay Masque never fails to soften your skin, preserve its complexion and impart a natural glow. 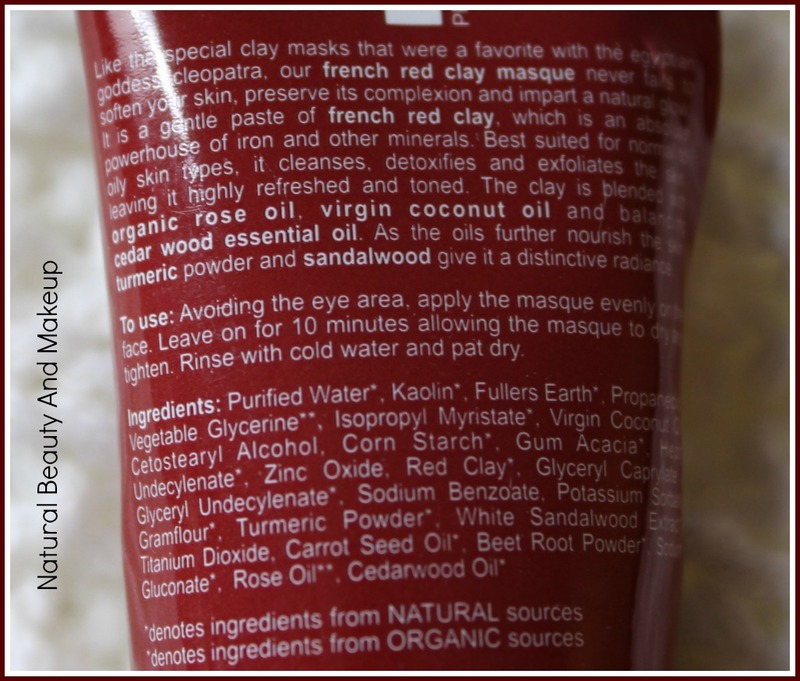 It is a gentle paste of French red clay, which is an absolute powerhouse of iron and other minerals. Best suited for normal to oily skin types. It cleanses, detoxifies and exfoliates the skin, leaving it highly refreshed and toned. 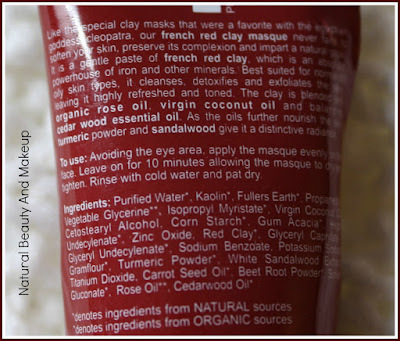 The clay is blended with organic rose oil, virgin coconut oil, and balancing cedar wood essential oil. As the oils further nourish the skin, turmeric powder and sandalwood give it a distinctive radiance. Rose & Mint Body Polish – For breezy skin that loves to play. The conditioning power of Aloe Vera blends instinctively with fragrant organic rose oil & refreshing peppermint oil, to create this unique gel that robustly unclogs the skin pores while calming the senses, but also provides relief through its anti-inflammation and healing properties. Walnut granules tenderly exfoliate, promoting the absorption of nutritive substance in the skin and stimulating its vital functions. Free from toxic chemicals, this natural spa and aromatherapy ensure your skin feels healthier, smoother & more radiant. 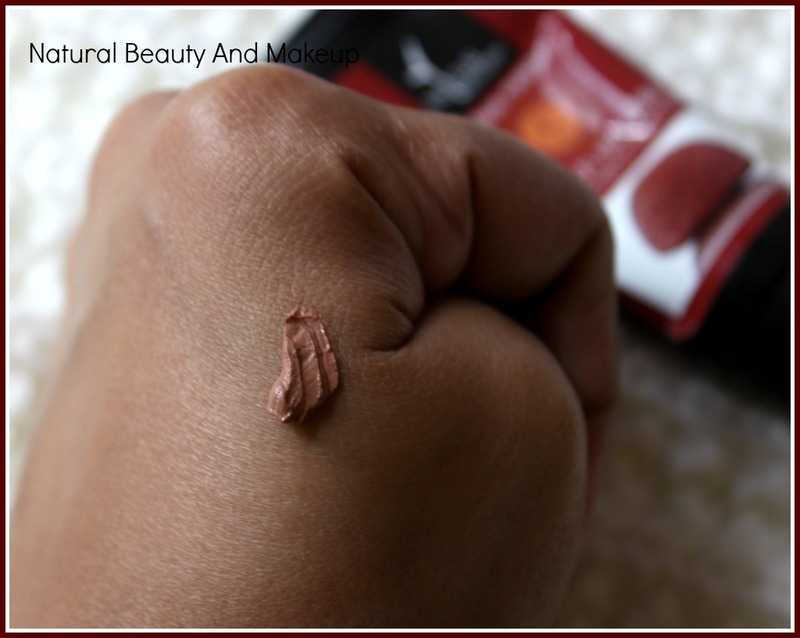 French Red Clay Masque: Avoiding the eye area, apply the pack evenly on the face. Leave on for 10 minutes allowing the pack to dry and tighten. Rinse with cold water and pat dry. 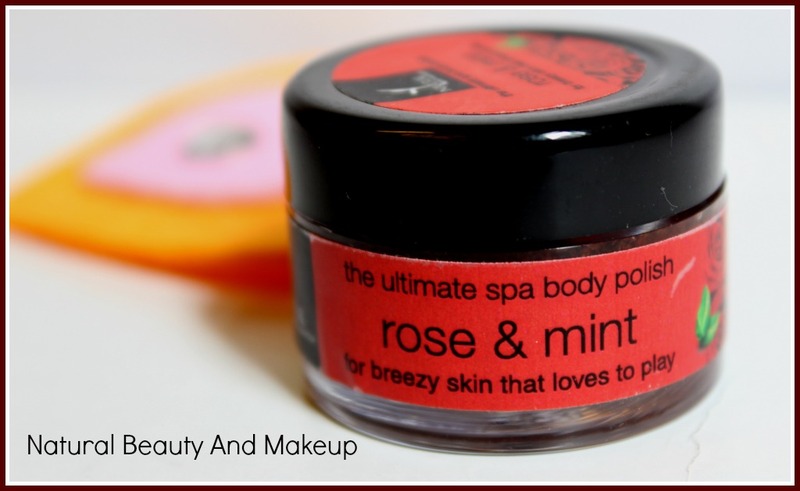 Rose & Mint Body Polish: Scoop out the scrub to apply on the entire body. Scrub in a circular motion for 2-3 minutes moistening the skin in between to keep the scrubbing smooth. Rinse off well with water. Use regularly for a clean glowing skin. Since this product is of tiny sample size, I could use it only a few times than a regular sized face pack. 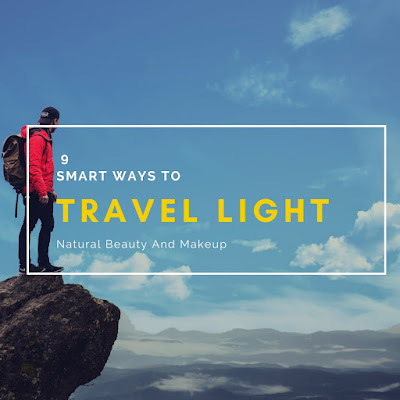 I have used it as a full face mask three times and maximum times I applied it as a spot reduction treatment to see if it could reduce my skin blemishes! The face pack comes in a small tube with a screw cap and all important details about the product are mentioned on the packaging itself. It is quite easy to squeeze out the product but at the same time, the opening area becomes messy after every use (an issue with all tube packaging). It has a soothing and charming fragrance, kind of mood-enhancing scent. The texture is super smooth and when applied, it provides a cooling sensation to the skin. Now, this face mask is infused with the all the goodness of French red clay and other organic oils, all of which together play a key role in making our skin radiant and glowy. Post usage, it made the skin firmer, smoother & nourished without stripping off my skin’s natural oil, which is impressive. 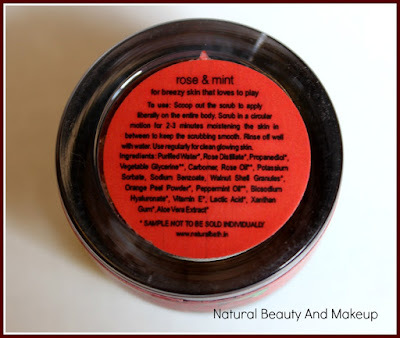 Clay masks tend to dry out my skin but this is not the same case with this clay mask. It didn't cause any breakouts or irritation to my skin😊 Sadly, it didn’t help me with reducing skin blemishes, a huge disappointment! Like Clay mask, this is also of tiny sample size, so most of the times I used it to scrub my hands only rather full body. 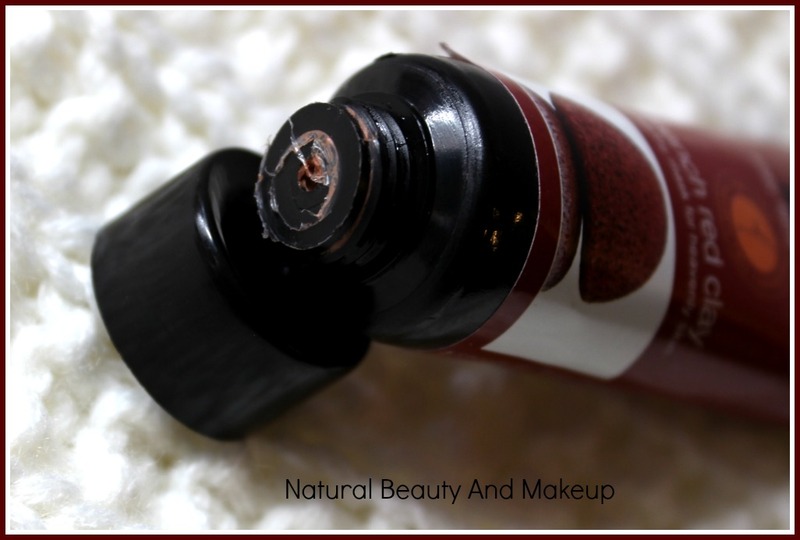 If I had used it for the body, it could not last me more than two usages hence THIS TRICK! Anyway, the sample comes in a small tub with a firm lid which protects the product from spilling. The product related information is printed on the packaging itself. Blended with Organic Rose oil, Peppermint oil and Aloe Vera, the body polish releases a mild, aromatic fragrance and has a semi thick gel texture. 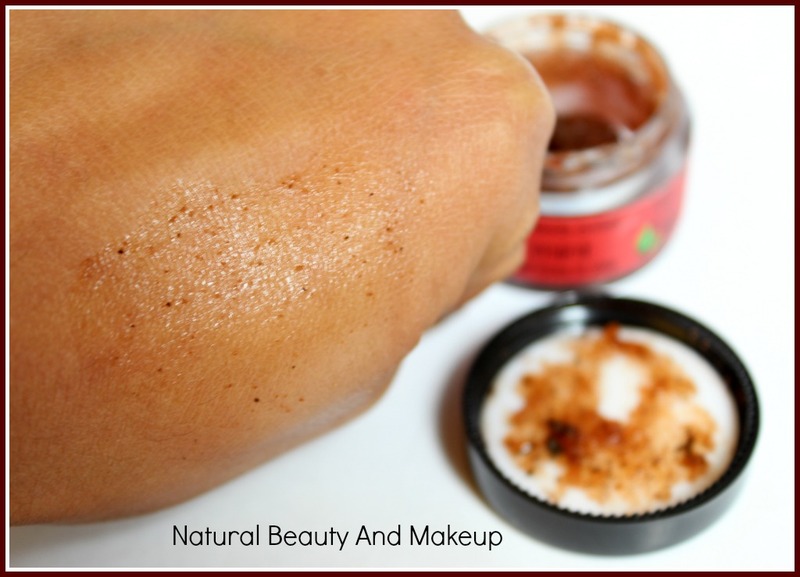 The Walnut scrub particles are minute and not at all harsh. 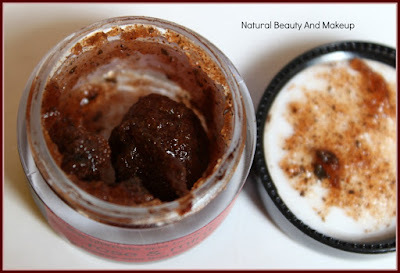 It exfoliates skin gently yet efficiently making skin softer, smoother and clear. Easy to apply on the body and post wash doesn’t leave any residue behind. Although I didn’t experience any drastic difference, it didn’t cause me breakouts/irritation either. Tub packaging can be improved considering the hygiene factor but I agree while bathing it comes handy! I liked both the products but I expected more from the French Clay Mask. Maybe, I should get a full sized version of this mask and eventually regular usage of it might give me a satisfactory result! But I admit, pleasing scent of both the natural products would uplift my mood and skin pampering session to another level! So if you are looking for such decent skin care products, do give them a shot! Hope you find my reviews helpful. 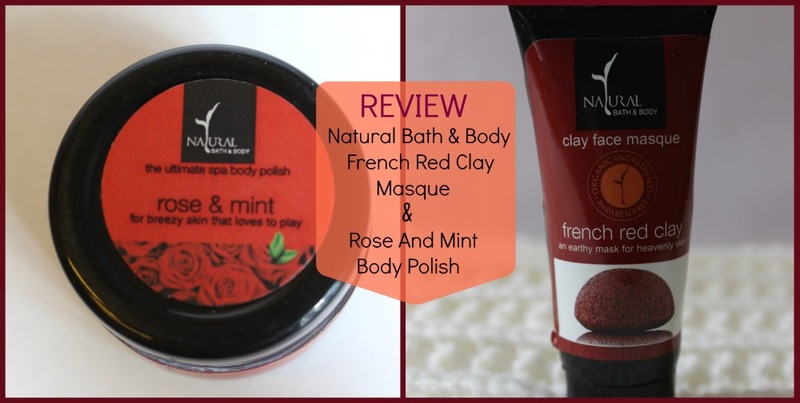 Have You Tried Natural Bath & Body French Clay Face Masque and Rose & Mint Body Polish Yet? If Yes, Please Share Your Experience With me In The Comment Section Below. This has been in my wish list since years :D Btw never heard about 'O My Bag'. the rose mint body polish sounds really exciting to me! i always love mint in my shower product. Nothing is more refreshing than that ingredient. This brand is new to me but seems their product range is pretty good. Nice detailed review sweetie. I have only tried body mists from this brand. They are OK kind. Never tried both of these products. But seemingly such a joy for beauty. i really loved how red clay mask performed for me... loved the review..